As with our standard Clear Sound stethoscope, this features ultra-sensitive acoustics for use through bandages or clothing with an accurate through up to 10 layers of terry cloth towel! 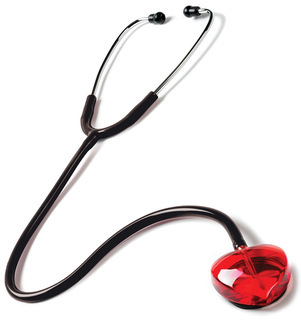 The Heart-Shaped head is manufactured from high impact shatter resistant acrylic resin. Lifetime Limited Warranty.